We are gathered here to mark the First United Nations Global Road Safety week, which is being acknowledged worldwide. This initiative by World Health Organization (WHO) and the Global Road Safety Partnership (GRSP) augurs well with the South African Road Safety Strategy 2006, which aim to stop the growing epidemic of deaths and injuries on our roads. Road crashes are the second leading cause of deaths globally among young people aged 5 to 29 and the third leading cause of deaths for people aged 30 to 44 years. According to the World Health Organization (WHO), the highest rates of road traffic crashes occur among road users aged between 0 to 25 year range in the African and the Eastern Mediterranean regions. More than 1.2 million people are killed every year and over 100 000 are injured on roads worldwide everyday. 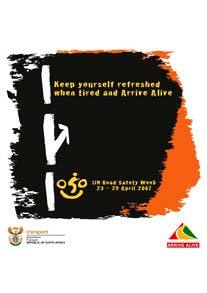 Almost 400 000 young people under the age of 25 years are killed in road traffic crashes – about 1049 youngsters everyday. Road accidents disable as many as 50 million more per annum globally and the economic impact is significant in low and middle-income countries. The annual cost of road traffic crashes in the middle and low income is estimated at US$65 billion – more than the total annual amount received in development aid. Road traffic crashes and their consequences cost governments about 2% of their Gross National Product. South Africa’s commitment to the United Nations (UN) and WHO’s objectives on road safety are reflected on what we are doing this week to mark the Global Road Safety Awareness Week. 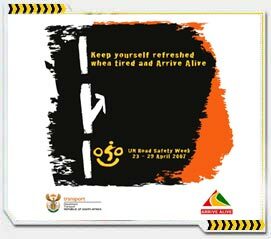 To mark this initiative on road safety the Road Traffic Management Corporation (RTMC) and my department’s Arrive Alive Campaign will work on various programmes in the provinces. They include Government Communicators Defensive Driving Course, pedestrian awareness in schools, in the eastern, western, southern and central regions, road safety awareness involving provincial youth commission and parents, issuing of road safety promotional kits to all new drivers who pass their driving licence tests during the week and drunk driving, road worthiness and driving licence awareness campaign. South Africa will continue with the commitment she made to the Ministerial Roundtable at the African Road Safety Conference on 8 February this year held in Accra, Ghana in which Ministers made a declaration re-affirming the importance of the role of Transport in achieving the Millennium Development Goals. Recognising the importance and the role of Global partners including the World Bank Global Road Safety Facility, UN Road Safety Collaboration and Global Road Safety Partnership in advancing the Global Road Safety Agenda. Promote Road Safety as a Health, Transportation, Law Enforcement, Education and development priority for the nation. From the Conference the South Africa government accepted the challenge to raise awareness during the UN Global Road Safety Week by undertaking initiatives in collaboration with the Provinces, Metros, Private Sector, NGO’s and Global Road Safety Partnership-South Africa. As part of our effective law enforcement we are also looking at introducing the Administrative Adjudication of Road Traffic Offences (AARTO), which involves the electronic offence tracking systems, improved law enforcement concentrating on problem areas (roadworthiness) and the points demerit systems, which includes loss of privileges and involves penalties. We should be implementing the AARTO by September this year. Ladies and gentlemen road safety in our country is receiving priority attention. I want to emphasize that the Global Road Safety Initiative and in particular road safety activities should not be a one-week programme but should be year-round in order to change irresponsible and dangerous behaviour. The United Nations General Assembly has unanimously adopted a resolution on improving global road safety. In this resolution, the General Assembly reaffirms the importance of addressing the global road safety issues and invited the United Nations Regional Commissions and the World Health Organisation to organise jointly the First United Nations Global Road Safety Week. The resolutions on safety are focused on young road users, as they constitute a major group at risk of death, injury and disability on the road. During this week we will raise awareness about the societal impact and costs of road traffic injuries, highlight risks for young road users and promote action around key factors that include drinking and driving, speeding, non-wearing of seatbelts and helmets. 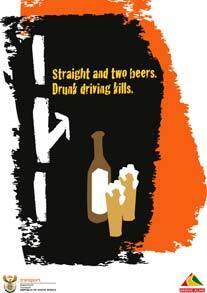 Alcohol is increasingly playing a role in the occurrence of road crashes. Adolescents often experiment with this substance under the peer pressure. It is necessary to deal with this matter and make them aware that they have right to say no. Alcohol affects the central nervous system and slows reaction time. It also has the following effects: clouds judgement, distorts vision, affects balance and impedes distance estimation. A substantial proportion of deaths and injuries, about 70% to be precise, can be attributed to speeding by drivers. Three principal clusters of fatal crashes include drivers losing control because they are driving too fast, lack of judgement of own path or pedestrian failing to give way to speeding motorist.  The seatbelt-wearing rate in South Africa is alarmingly low and most passengers do not realise that the wearing of seatbelts in the rear of the vehicle is compulsory. Seatbelts wearing for drivers and all passengers should be second nature. Airbags are designed to limit head, neck and chest injuries by creating a cushion between the occupant and the steering wheel and dashboard, windshield. Airbags only supplement safety belts, they do not replace them. When a vehicle travels at 60km/h, it would take an average person two seconds to react. And when a vehicle crashes at 60km/h, the impact is similar to fall from a three-storey building, while at 100km/h the impact is equivalent to a fall from a 12-storey building. Nearly half of pedestrians are killed at night, when it is difficult for drivers to see them. A driver’s visibility at night is limited to the reach of the vehicle’s headlights, which is 45 meters on dim and 100 to 150 meters on bright. It is important to decrease speed at night. Pedestrians must be visible at night. A driver will only see a pedestrian wearing black or blue when he is 17 meters away. Drivers must be extra vigilant in areas of high pedestrian activity, like schools, shopping centres and residential areas. The actions of pedestrians especially the young ones are unpredictable. At traffic lights, walk quickly to also give motorists a chance to proceed. Under normal circumstances, both pedestrians and motorists share the 60 or less seconds allocated to a specific traffic light crossings. Your briskness will contribute towards smooth flow of traffic and your slowness will create havoc and ultimately road rage. So walk to smoothen the flow of traffic. Dashing in front of bigger vehicles such as buses can be deadly. The same bus you are dashing in front of, to cross at unmarked areas might be hiding a small vehicle, which is passing at an unacceptable speed. In conclusion ladies and gentlemen, I must stress that the South African Government is committed to implement the UN and the WHO resolution and commits to reducing fatalities and serious injuries. We look forward to proceed with more improved road safety measures and to support Global Road Safety Awareness during 2008 and beyond. Our efforts to improve transport infrastructure and services to boost our economy will go a long way as we continue to work together with the UN and the World Health Organization in this regard.